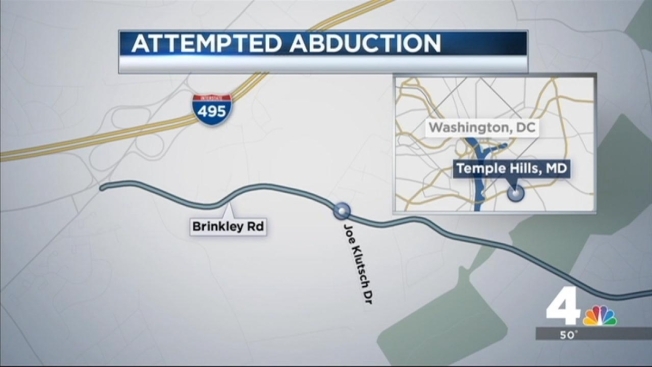 Prince George's County Police are investigating an attempted abduction of an 8-year-old child in Temple Hills. According to a news release, the incident was reported Thursday around 7 a.m. in the 2900 block of Brinkley Road as the boy was walking to a school bus. The boy told police a man driving ahead of him pulled over, got out of the car and then pointed a gun at him. The boy then said a woman got out of the passenger side of the car and told the boy to come inside. Police say the boy then ran from the scene and the suspects drove away.